Holy crap guys, I did it. I've always been absolutely horrible at water marbling, and I'm still no expert, but I managed to get 10 CLEAN designs on my nails without killing anyone. WOOT! I'm pretty pleased with myself right now. I definitely have a long way to go to even come close to the mad skills that some of you amazing ladies have, but I feel pretty happy right now! 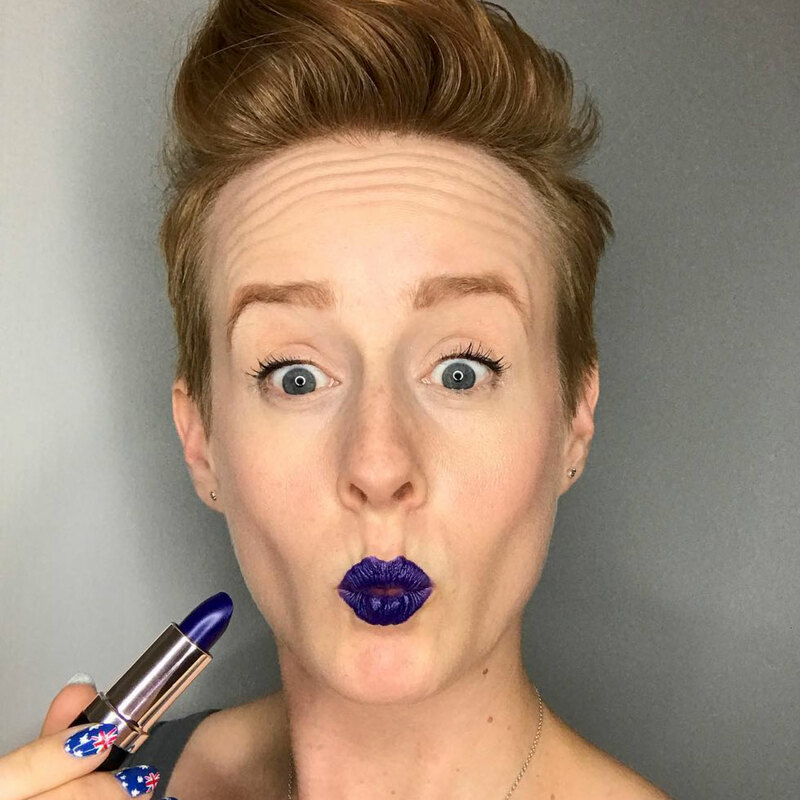 I saw the polish I used as a base color at Sephora when I dropped in to kill time before Chris and I went to see Deadpool the other night....again. 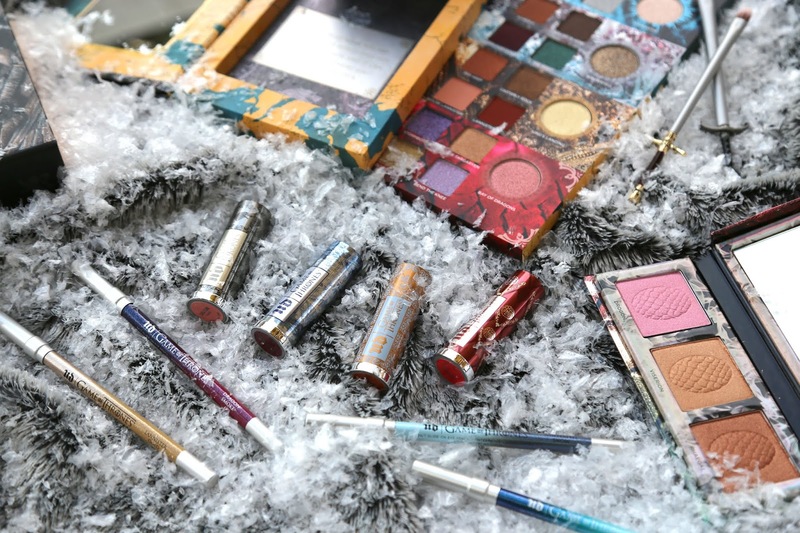 :D It's seriously gorgeous- a gorgeous seafoam with both regular glitter and holo, so it's absolutely sparkle city. LOVE. I couldn't believe that it was from a major retailer and not an indie. 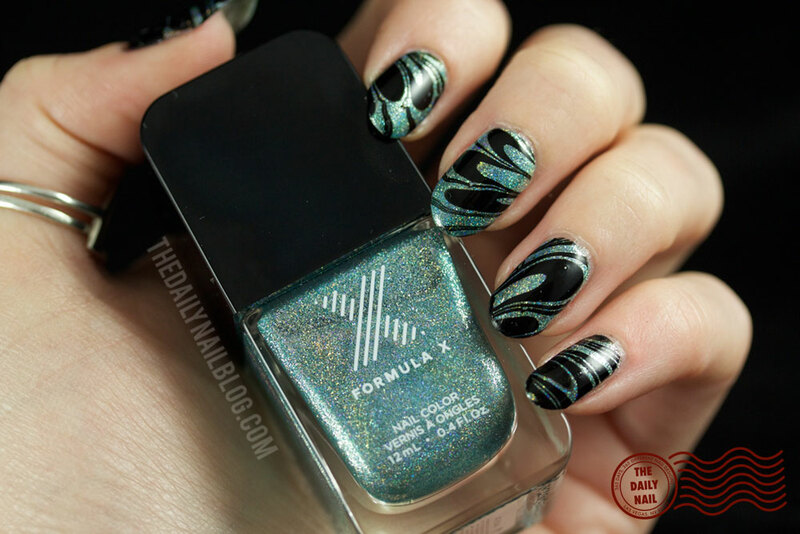 It's from the Formula X collection, and it's called Athena. 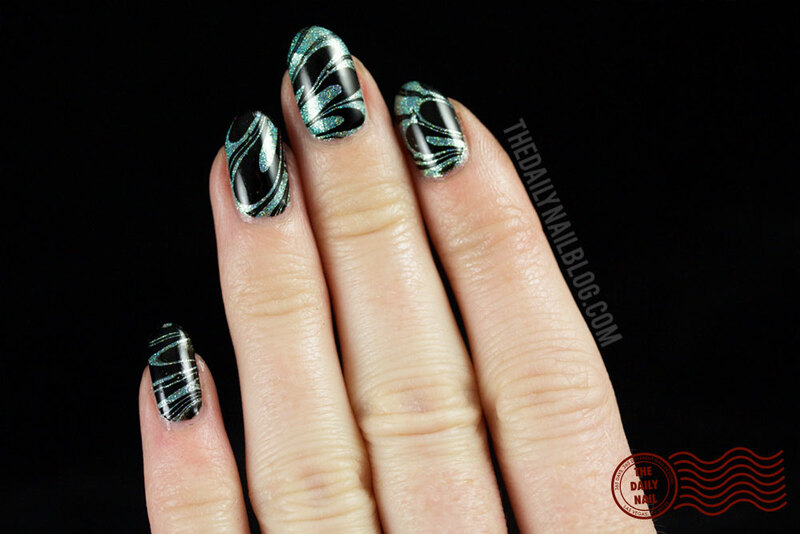 For the marble, I used American Apparel Hassid (the best black on the planet), and a cheap Wet & Wild clear polish that is SUPER thin and spreads awesomely. Topped it all off with Glisten & Glow HK Girl, the bestest top coat in the whole world. 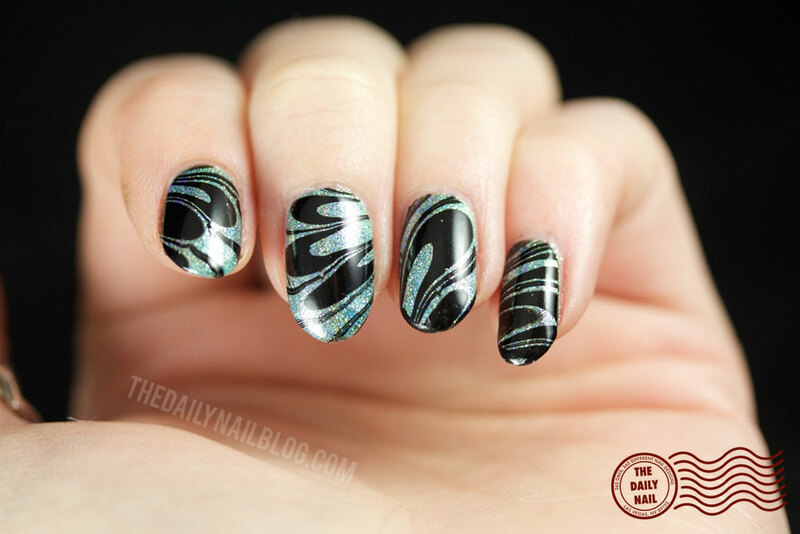 The real timesaver for me with this water marble was the Ctrl - Alt- Del from Glisten & Glow. I love that it's thick enough that it's easy to peel, and doesn't stick to itself as easily as other latex barriers. Thank you so much!! I'm just excited I didn't screw it up! lol thanks!! I'm still a bit of a phone myself!